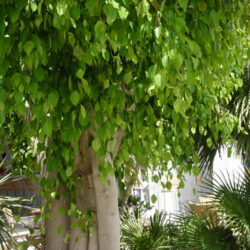 The Weeping Fig, native to southeast Asia, is a lushly tropical and elegant tree, more likely to be found as an indoor plant in Arriyadh than growing outdoors. 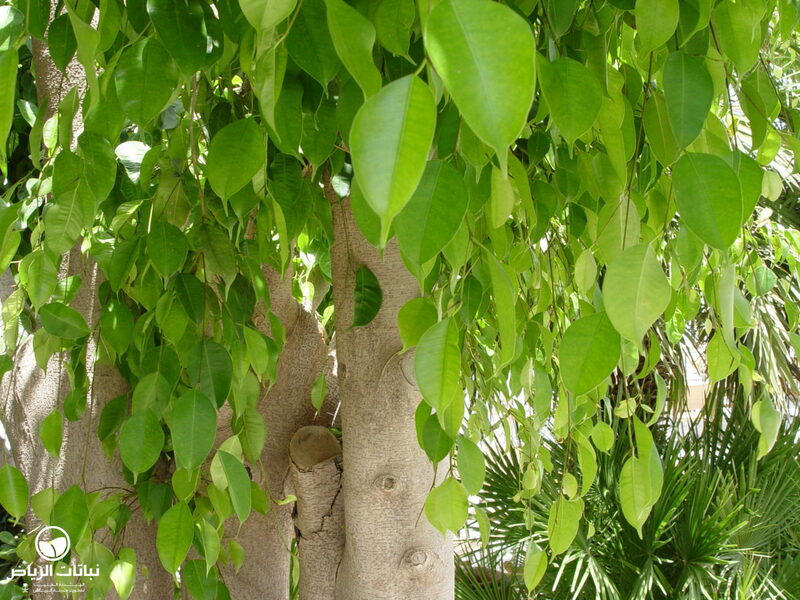 Popular throughout the world in homes, offices and shopping malls, F. benjamina will withstand Arriyadh’s climate, but only when fully protected in a garden. In the past, it was occasionally found outdoors, but heavy frosts and scorching sun in recent years have caused its disappearance. 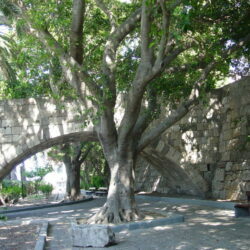 With its dense foliage and gracefully weeping branches, it will grow relatively quickly in a favourable location to a height of 15 metres with equal spread. 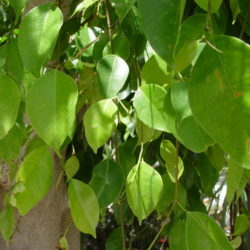 Glossy, dark-green, ovate leaves with pointed tips grow up to 10 cm long. The fruit is very small and red when ripe. 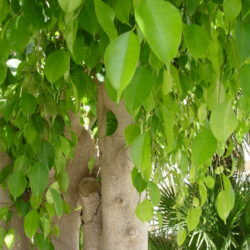 In Arriyadh it is best in a warm-winter patio or garden in semi-shade. F. benjamina prefers deep, moist soils with good drainage and requires regular irrigation, more during the first years, and after establishment it will withstand short periods of drought. It needs wind protection when young. 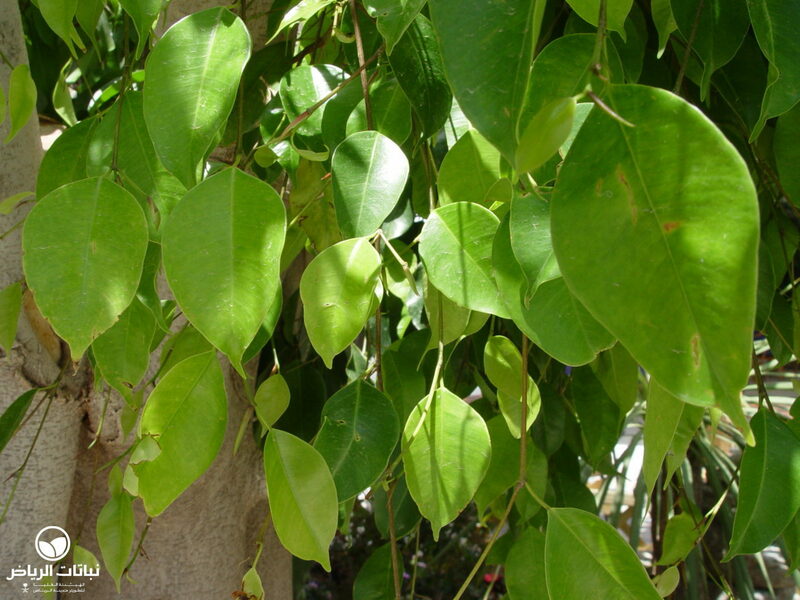 Propagation is by cuttings or air-layering. 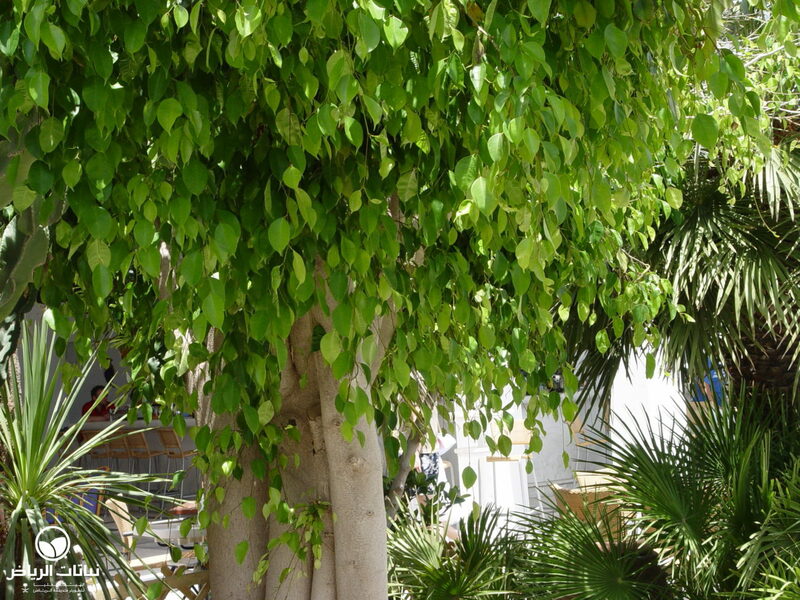 Occasionally cholorotic in Arriyadh’s soils, trees are prone to attacks by mealybugs. 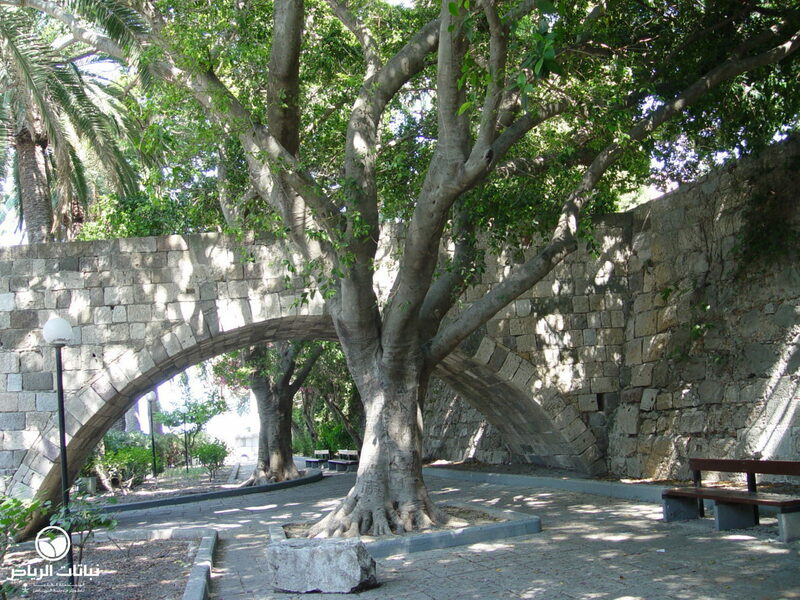 Expanding roots can be invasive and cause damage to underground pipes and paving; they also make it difficult for other plants to grow close by. As accent or focal point trees, they are also very attractive in containers. Trees can be clipped to shape and regular pruning will improve appearance, but pruning must be drastic if the branches are caught by a hard frost.